Chinese smartphone makers have taken the Indian Mobile market by storm. First, they disrupted the smartphone industry and then found an additional revenue stream by selling accessories. The idea began by not bundling headphones with their smartphones and selling their own branded earphones (or headphones) at discounted prices during the sale. It is an idea that has worked wonders for some brands, giving additional revenue reflected in the bottom line. Infinix is new to the Indian market but already grabbed good attention with their new device Infinix Hot S3. 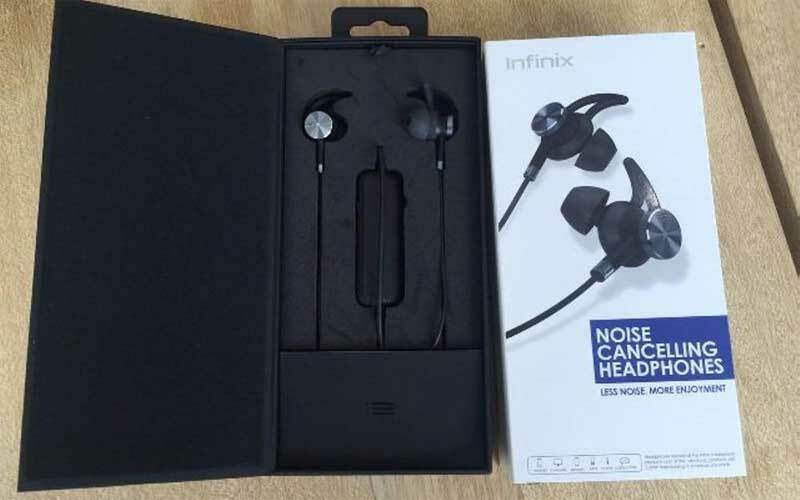 Like every other Chinese smartphone company, Infinix is also exploring the Accessories market and Infinix Quiet 2 is one of the options available from the company. Today in this article we are going to review the Infinix Quiet 2. The Quiet 2 comes with a standard eartips and fins attached to the earbud out of the box. However, I didn’t find them to be really comfortable. Even after replacing the ear tip with other tips that come with the earphone, I found that the comfort was not that good. Honestly, if you ask me the headset sounds just like any other pair of earphones when you don’t consider the ANC (Active Noise Control/Cancellation) part. It actually has a soundstage that is fuller than the earphones that come bundled with your smartphone. Due to its standard drivers, it does not drive a lot of basses but it plays really well with music in the mid-range frequency or tracks filled with vocals. While traveling or in the crowded place, headphone does the job quite nicely but doesn’t restrict the outside noise much. Since earphones are compact and have little space to pack a quality driver, you will have to make do with compromises in areas like dynamic range and drive offered by certain genres of music. Does it really cancel the noise? If you ask me my answer will no straight, No. But the headphone can help you hear the sound of music all call in a different way. So, how does headphone help you hear in a better way without canceling the unwanted noise? The answer is by boosting the sound by a bit. The moment you pressed that toggle to activate ANC, the digital signal processors kick in and amplify the existing sound and blocking your ear canal a bit to reduce ambient sound. Just to give you an example I was testing the headphones while traveling in Mumbai local and found that I could perfectly hear the station and train going sound when on the normal volume. With high volume, the results were more positive for the cancelation of outside noise. But we still feel that company would have improved on that part. At the last, I would say, if you want to have a headphone with some great addon, like ANC with the good quality material we would say you should seriously consider this. At App Gyaan we will give 3.5 out 5 Rating.